December through February is the most popular time of the year to get online. If you’ve never tried a dating site or app before I highly recommend you get online now (no matter what time of the year it is). I believe online is the best way to meet someone. I met the love of my life on Tinder and have several friends who met their husband or wife on Tinder, Match.com, and eHarmony. I’m sure you know several great couples who have met online, even if they don’t readily admit it. It works because commonality is what makes a relationship last long-term. Most relationships only last 3 to 6 months because when you meet in person and have amazing chemistry, you ignore all the red flags that should tell you that you’re not right for each other, that you don’t have commonality. But if you vet a person and learn more about him or her before you even know if you have chemistry, you can be much more discerning about who is right for you. If you’ve been online for a while it’s time for an update! People take down their profile when they find a potential relationship. 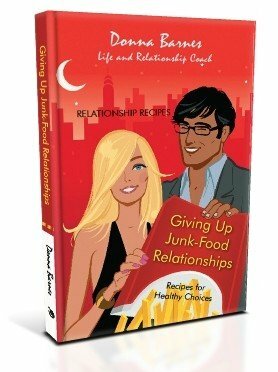 But as stated above, most relationships only last 3 to 6 months, so they get back online if it doesn’t work out. I have to admit I’ve done that. It was a huge turn off to see many of the same guys still online with the same pictures. But there was a new guy I liked and chose to meet. He then confessed to me he had messaged me six months earlier and I hadn’t replied. I confessed I didn’t remember him and he told me he recently updated his pictures. If you find yourself either still online or back again put a little effort into it and update your picture and profile every few months. If a potential mate is back on you don’t want him or her to recognize your picture and think you’re a serial dater. 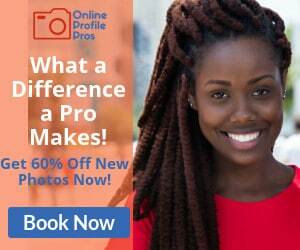 You can get up to 60% off getting professional photos taken by clicking through the ad to the left for Online Profile Pros.